Americans have been driven to explore beyond the horizon ever since the Pilgrims landed at Plymouth Rock. In the twentieth century, that drive took us to the moon and inspired dreams of setting foot on other planets and voyaging among the stars. The vehicle we built to launch those far journeys was the space shuttle—Columbia, Challenger, Discovery, Atlantis, and Endeavor. This fleet of reusable spacecraft was designed to be our taxi to earth orbit, where we would board spaceships heading for strange new worlds. While the shuttle program never accomplished that goal, its 135 missions sent more than 350 people on a courageous journey into the unknown. Last Launch is a stunning photographic tribute to America’s space shuttle program. 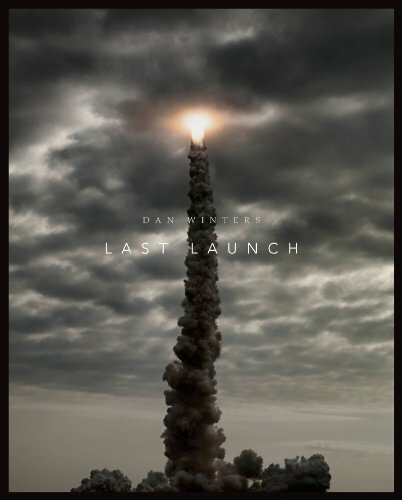 Dan Winters was one of only a handful of photographers to whom NASA gave close-range access to photograph the last launches of Discovery, Atlantis, and Endeavor. Positioning automatically controlled cameras at strategic points around the launch pad—some as close as seven hundred feet—he recorded images of take-offs that capture the incredible power and transcendent beauty of the blast that sends the shuttle hurtling into space. Winters also takes us on a visual tour of the shuttle as a marvel of technology—from the crew spaces with their complex instrumentation, to the massive engines that propelled the shuttle, to the enormous vehicle assembly building where the shuttles were prepared for flight.